VE125LWN is the new small-footprint power vise from Kitagawa. Loaded with a large jaw opening vise meaning it has a jaw stroke of 405mm (compared to the 256mm of the standard VE125LN Kitagawa vise). 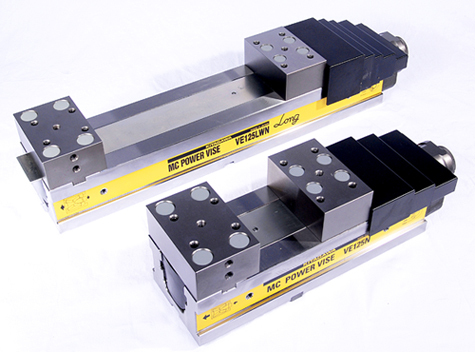 This means that the vise is suitable for the clamping of standard mold material up to 400mm. This 405mm jaw opening vise is also standard parallel specification and has a variable clamping force 0-3 range. Creating the efficient machining area of M/C. For further information visit the VE125LWN page on the website.